Yesterday the kids and I went to a playground for the first time since JT fell and broke his arm. I was a little more nervous than usual, especially because JT was climbing to the top of everything, swinging across the bars with his one good arm and making a million risky moves. That's good right? He's not traumatized, not crippled with fear or worry. Maybe he lucked out and didn't get what I thought was the dominant worry gene that keeps getting passed down generation after generation in my family. Maybe the streak has been broken. Halle-f&#*ing-euljah! Because really worry is stooopid. Life is short and it goes fast, this I know for sure. The Tooth Fairy that comes to our house is named Adam. JT lost his first baby tooth and Peyton lost his last baby tooth this past week. I cried over both milestones. Lucy helped JT put his tiny tooth under his pillow the night he lost it. Unbeknownst to us, she wrote a little note and included it with the wee little baby tooth. "Dear tooth fairy, What is your name?" she wrote. In the corner you can see where the fairy wrote "Adam." 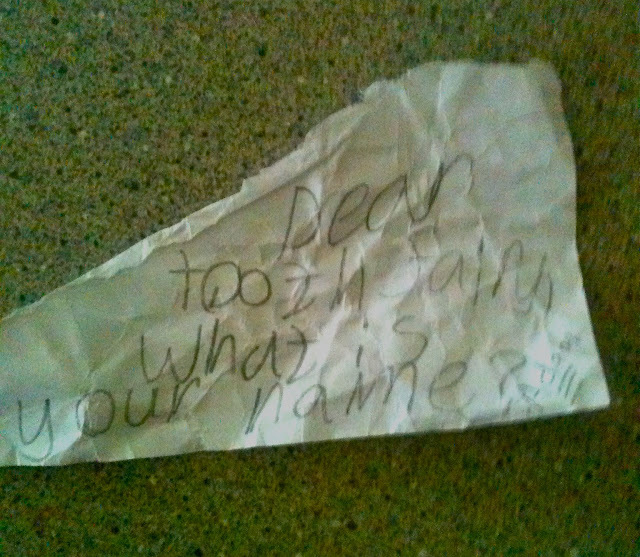 My uber creative husband found the note and decided the tooth fairy's name is Adam. What the hell? I was so confused. "A guy? You think the tooth fairy is a guy? And why Adam?" No offense to all the Adams out there, it just isn't very fairy like. I would have at least gone with a more exotic name like Eduardo or Augustine. Right? Augustine the Tooth Fairy. But nope, our fairy is and will always be Adam. And by the way, Lucy and JT loved that Adam revealed his name. I want to buy cold cuts because of this commercial. It's overplayed, but I don't care, I laugh out loud EVERY TIME I watch it. Love it. I'm more in love with Amy Poehler than ever. She and a few of her friends started a YouTube Channel called Smartgirls. It is full of videos to help empower and inspire girls. If you know a young girl (tween age), direct her to this channel. I sooooo wish I had something like this when I was younger. See? 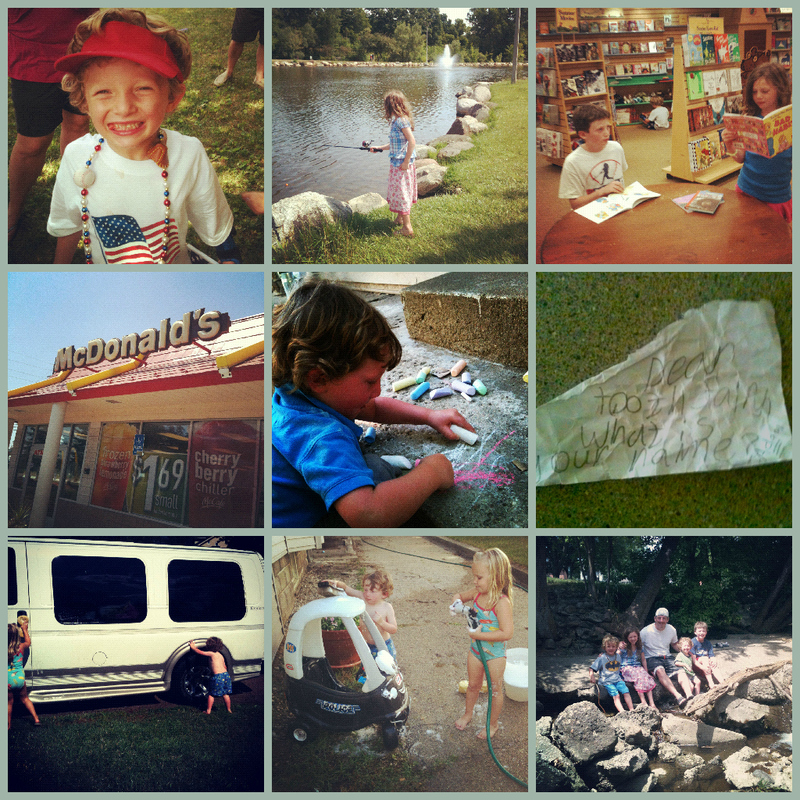 The Internet isn't all scary, horrible stuff for our kids. Check out this clip from an Ask Amy segment where she answers viewers questions about makeup. You will love her too, I know it. The Dark Knight Rises looks f-ing unbelievable. Yup, I'm a fan. This trailer for the new movie is amazing and it features my beloved Pittsburgh. Can't wait to see it, we might even get a sitter and go to an IMAX theater. That would be all kinds of wild and crazy for my husband and me. And just because I can't quit with YouTube, did you check out my latest Vlog? If you missed it here it is. After watching it again, I think I seem a little drunk. Oops. Click here if you want to subscribe to my new YouTube channel. Instagram never gets boring. Cool pictures with cool filters; and I just started following people, which adds a totally new fun-ness.